LOS ANGELES (AP) — “Black Panther” went back-to-back into the Oscar history books on Sunday evening. 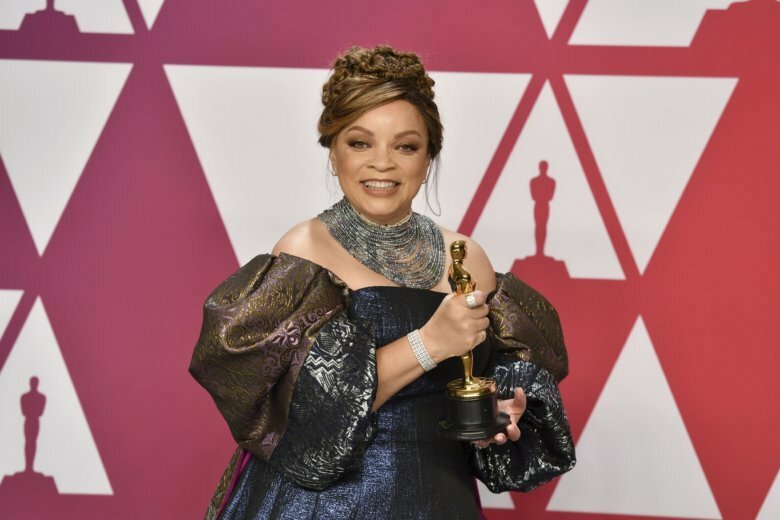 Ruth E. Carter and Hannah Beachler became the first African-Americans to win in their respective categories. Carter was first up as she took home an Academy Award for costume design, then Beachler followed her with a win in production design at the 91st annual Academy Awards at the Dolby Theatre in Los Angeles. “This has been a longtime coming,” said Carter as she burst into laughter while accepting her trophy. She dedicated the award to her 97-year-old mother and thanked Spike Lee, who provided her career start in the 1998 film “School Daze”; the director rose from his seat and pumped his fist into the air in response. Beachler broke down in tears during her acceptance speech with fellow production design awardee Jay R. Hart, saying she “stands here stronger than she did yesterday.” She helped create the cinematic world of Wakanda, the fictional homeland of the main character. Beachler and Carter played influential roles in helping “Black Panther” become a cultural phenomenon. Both said they wanted to infuse the pride of the African diaspora into the film. “Marvel may have created the first black superhero. But through costume design, we turned him into an African king,” said Carter, who drew inspiration for the film’s stylish and colorful garments from her travels to Africa. She spoke with people of the continent to understand the history of each artifact to ensure the different characteristics were represented properly in the film. The costumes have become so popular that people from different ethnicities — young and older — have worn Black Panther-themed costumes to theaters and at parties. Some even dressed in Wakanda couture at a pre-Oscar event. “We wanted to bring the world of Africa to life,” Beachler said while backstage admitting that she was still “freaking out” after her victory. Carter said she hopes their historic Oscar wins can open up more doors for other African-Americans who want to follow her and Beachler’s footsteps.